An elegant and stylish bedding set to brighten any child's room. 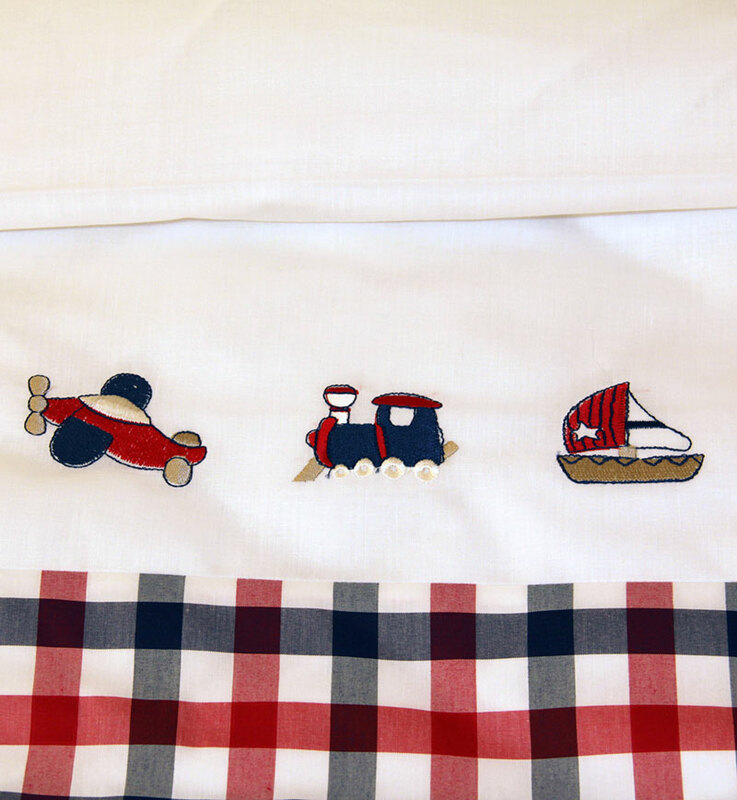 The collection is 100% cotton, with an elegant red & navy gingham trim, finished with stylish boat, train and plane design. Don't forget to check out our matching bathrobes and towels for the complete set.